This book is a compact colour guide of the largest survey of Scottish gardens ever mounted and the first such guidebook to all that Scotland can offer garden and plant lovers. Including descriptions of virtually all Scotland's gardens which are open to the public, it recommends when to visit and what to look out for. Gardens are described in a pithy and lively style. Also covered are specialist nurseries, garden centres, wildflower walks, shows, public parks and more. The book includes useful maps showing routes for day trips and short-break tours and is illustrated throughout with full-colour images by Ray Cox. 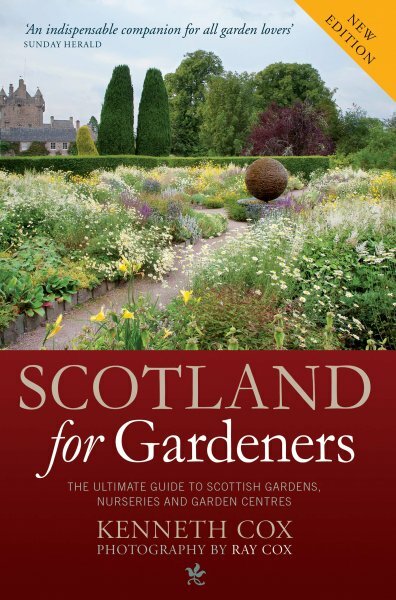 This is the ideal book for the Scot or the tourist who wishes to explore the world of gardens and plants in Scotland.